Have you ever heard anyone say, “He is ALL boy”? Well these three are definitely ALL boy. They are rough and tumble, full of energy, and open to love despite what they have been through. As perfect as these three cuties look, there is so much that lies behind those curious eyes. 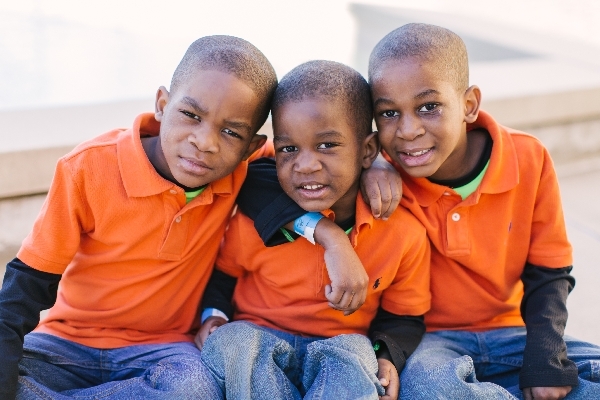 Javonte, Jakobeian, and Jaylon have spent nearly their entire childhoods in foster care. Javonte is an outgoing and outdoorsy kid – very active and athletic. Jakobeian, despite being the middle child, is the leader of them all. He is a mischievous little boy that loves riding his tractor and bicycle. Jaylon loves his tricycle and being outdoors. Each of the brothers struggles at times with processing their emotions and can get easily frustrated. Despite these temporary bumps in the road, the boys are full of laughter and energy. They are resilient despite what they have been through, but they will need a structured, two-parent home that is willing to continue their therapies and provide follow through to help these little boys turn into the successful men we know they can be.